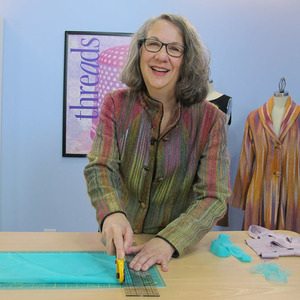 Gretchen Hirsch on the set of the upcoming PBS series, "It's Sew Easy." 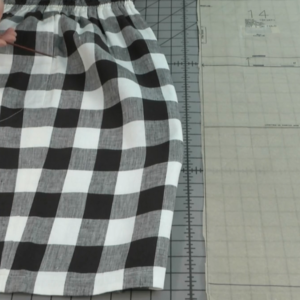 In the first episode, Gretchen demonstrates how to create an updated skirt with a retro vibe. You may have heard about it through the sewing grapevine, but now it’s nearly here – the premiere of “It’s Sew Easy” is June 30 on PBS stations across the country. 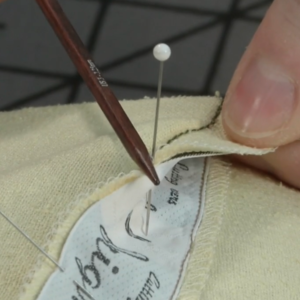 It’s great news when a national audience is exposed to the fun of sewing! 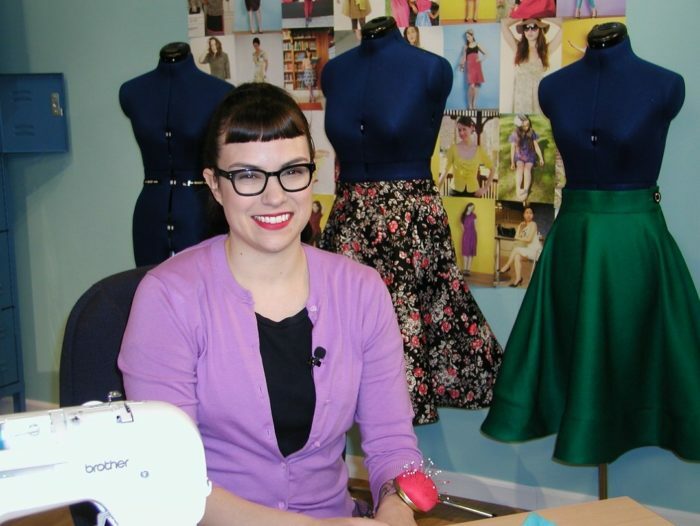 “It’s Sew Easy” replaces “America Sews with Sue Hausmann,” promising to give faithful viewers a new spin on sewing where America Sews left off. 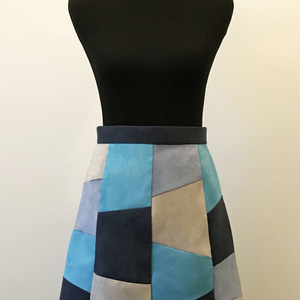 According to a press release from the production company, KS Inc. ( they also produce “Knitting Daily” and “Quilting Arts”), the show is targeted to contemporary sewers looking for projects and techniques to enhance their sewing skills. 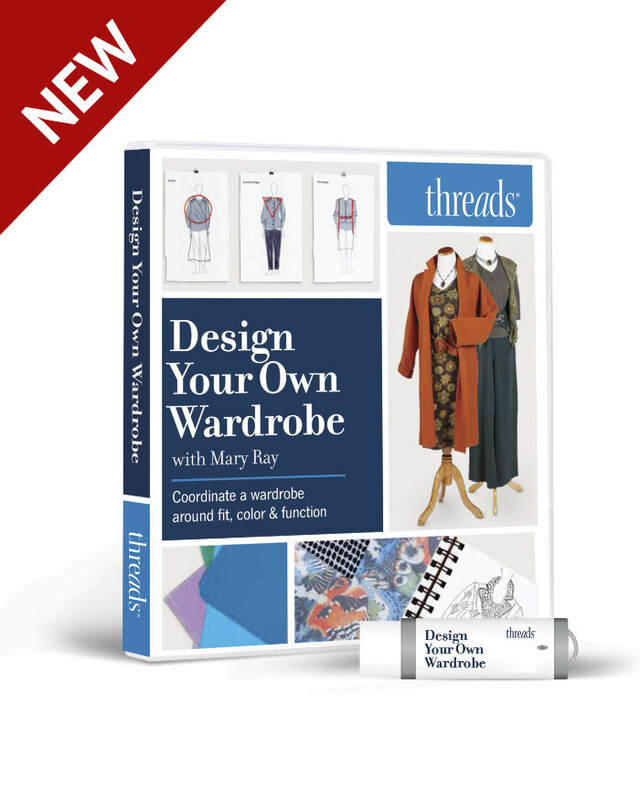 The featured experts are going to mix tutorials with projects for personalized apparel and home accents. 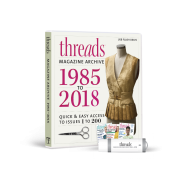 Threads readers are sure to recognize many of the featured experts, from American Sewing Expo and National Sewing Council founder Janet Pray, to home decor designer Pam Damour, Bobbi Bullard, and “Project Runway” competitors Suede and Valerie Mayen… there are many more in the 13 episodes of Season One. The show format includes two main projects each week and one shorter technique segment. 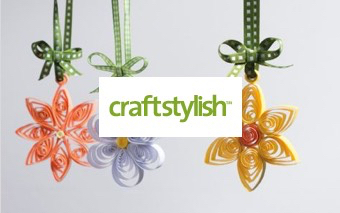 Show themes include: “Apparel Details and Embellishments,” “Kids and Baby,” “Dress up Ready Made Home Décor,” “Fun Fabrics,” “Restyling,” “Gifts,” and many more. The producers have created a website that supplements the show. Miss an episode or need more information on a technique? All of the patterns and instructions featured will be available at ItsSewEasyTV.com (note: the website wasn’t yet ready at the time of this post). Check with your local PBS station to see if they’ll be airing “It’s Sew Easy,” and at what time. If they don’t plan to, tell them what they’ll miss – an audience of sewers! So, are you looking forward to the new sewing show? Are you thinking you’ll learn a lot, or just enjoy the inspiration? 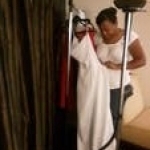 Pattern designer and custom clothier - and PatternReview.com columnist! - Angela Wolf appears in six episodes of "It's Sew Easy" Season One. She talks on topics from sewing with silk to distressing denim. Rebecca Cornell and Christy Howden (both pattern designers and moms) create a felted toy on the wrap episode for Season One. Katrina Loving and Tricia Waddell, Stitch magazine editors, appeared on 10 shows in the first season of "It's Sew Easy." In one episode (no. 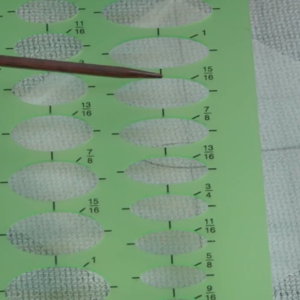 105) they explain how to use needle turn applique in some home decor projects. Congratulations, Grety! I will definitely tune in. This is so wonderful. I see the Angela Wolf will appear in several episodes. Congrats to all. 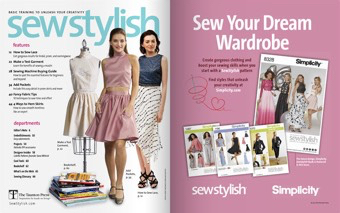 Let me join in .... one of the top thrills of 2011 will definitely have to be the invitation to appear as a designer in this first group of programs for It's Sew Easy! And... what a thrill to meet SUEDE! Help us get it on YOUR PBS station - call, request, join and support your local station. I'm looking forward to this. 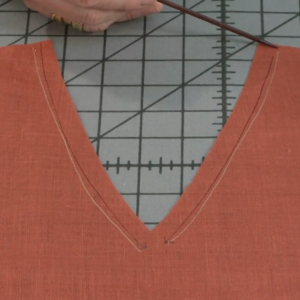 I love to watch sewing shows -- even when the host is making something I already know how to make, it's always a learning experience. 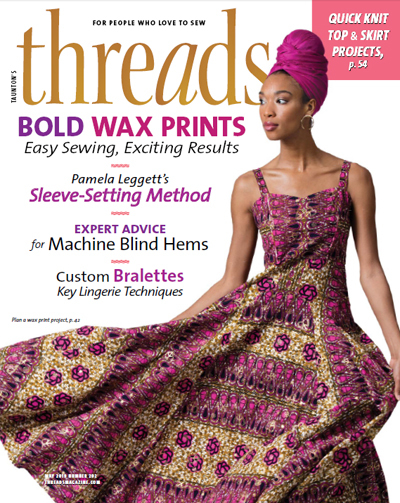 As a sewing instructor, I love that there is a fresh, new show coming to inspire more people to learn the craft. Finally the long draught is over. Something other than decorating, and quilting to watch! I've gotta program the DVR! Great! No more quilting as the main focus. 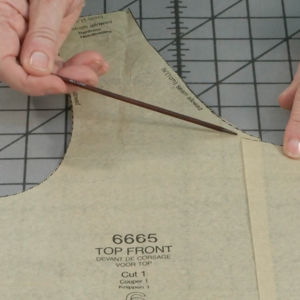 I love to watch anything about sewing, I can always pick up some new tips. Congrats, super excited about this. It's on my calendar to watch and record. From what I'm hearing, this is going to be very elementary so I don't expect to be too challenged or inspired. Oh, for the days of Shirley Adams and Sandra Betzina. It's about time...........so many quilting shows, and knitting, and nothing for the person that wants to sew clothing. I am looking forward to seeing this show. Living in Minnesota they just might have another Scandinavian cooking show. Sounds wonderful -can't wait. Hope PBS out of Portland Oregon is up to date with this programming. I too hope at least one of the 4(!) PBS stations I get carries this - I don't even get 'quilting overdose' - we seem to have mostly 'all about cooking', here (Chicago and NW Indiana). I was hoping for something more advance but its a start.. Ill tune cuz im curious to see . 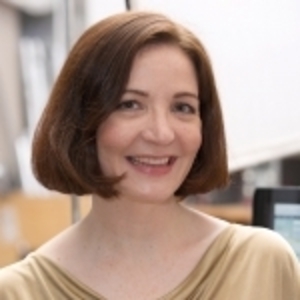 While I am sad to see Sue Hausman out of the picture, this is wonderful news. Hopefully my channel will carry it. I can't wait to see Gertie in action. 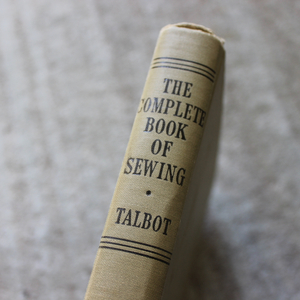 I'm looking forward to "the craft of sewing" more than just sewing crafts. Let's hope some real challenges show through: Dress making, tailoring, fitting, finishing techniques, alterations et al. Glad to hear about new show but please rethink background music. The music on the knitting show is awful!!! It makes it impossible for me to watch. Please be sensitive to the amount of noise you have going on while people are talking. I'll be looking forward to seeing "It's Sew Easy" show. My Channel Guide book does not show a listing for the show on June 30 but our local PBS station may still show it. Listings in the book doesn't always carry our programs in Nashville, TN so I rely on the TV guide channel to let me know what's playing at the time. I hope our PBS station will carry this. 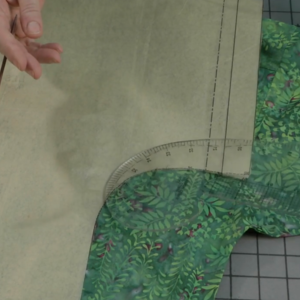 Also, as many comments above noted, it will be good to sewing real garments, not "quick projects," decorating, or heaven forbid another quilting sew or demonstration on "felting." Thank you, Gretchen Hirsch. 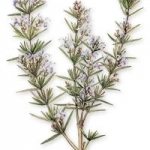 I agree with lei739. 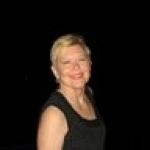 We need another show like Shirley Adams or Sandra Betzina. Let's hope this new one has a little meat in it. I've looked at PBS.org for It's Sew Easy and I've looked at my tv lineup for PBS on June 30th and can't find it in either one. Is everyone else finding this? It's about time. I hope my local PBS will carry this show. 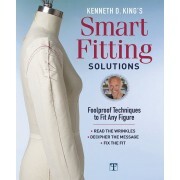 I'm anticipating some interesting episodes related to intermediate and advanced sewing techniques. 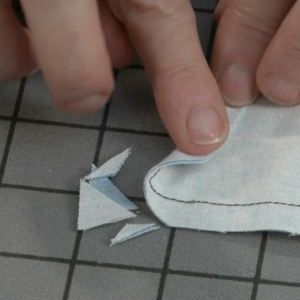 We don't need any more instructions on how to make a felted purse or quilt projects. We need to get America sewing again and introduce this wonderful art to our young people. Congratulations to Angela and Gretchen. I don't see it here in Oregon.....we have OPB and no search is turning it up. Any sewing show with a fashion emphasis is good with me. 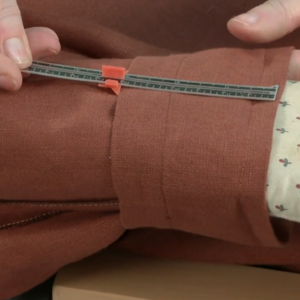 It was wonderful to finally have a show on TV that demonstrated sewing techniques and ideas. I came across the show yesterday and look forward to future episodes. 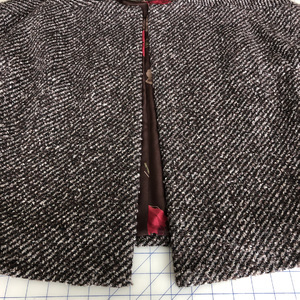 I am looking for the horse hair braid used for a hem on show 101. Where can I find it? I found the show by accident when it came on instead of the listed show, America Sews. I was pleasantly surprised to see young people hosting the show. 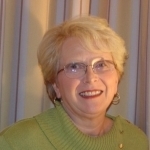 I’m a home economics teacher close to retirement in Ohio. Ohio removed sewing from the curriculum two years ago. 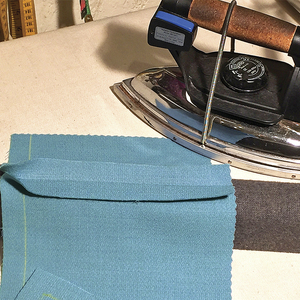 It was my love of sewing that lead me to choose my career so this was a great personal loss. Last year, I began hosting a “sewing club” afterschool so I could continue to share my love of sewing with young people. Even though I’m of the generation of most of the sewing shows’ hosts, I’m “sew” excited to see the younger generation giving their special and timely twist to an art that has been such an essential and enjoyable part of my life. I hope all PBS channels pick up the show. Good Luck. I'm the happiest person on earth because I found this show on saturday. It was a gift from GOD. Please do every show so even a beginner like me can understand and get the same joy you get teaching it. I will buy your videos if it is ABC you can understand thee. Thank you for having this show it reminds me of stylistic. Our local PBS channel advertises that if they aren't showing something we want to see, to let them know. If you write to your local PBS channel and they get enough requests, they may carry it. You have nothing to lose by asking. It is a great show. I also have a love of sewing and there just aren't enough shows around on sewing. Let's hope this one stays around for a long time. I raised three daughters and none of them took up my love of sewing even though I sewed a lot of their clothes and a lot of my home decor items. Let's hope the younger generation starts to sew. I love the show, it is informative and down to earth. There are not enough creative shows on television and we need them for inspiration and sometimes that aha moment such as I had last week watching the show on rehooping. The whole show was great but that was special for me. Please stay on air. I just watched my first show and it was painful! Ms. Wolf was on a mission to teach the creation of a French seam using silk charmeuse but her tongue sucking (clicking) was a constant distraction! I could not concentrate on her message; I was anxiously awaiting the next tongue click! It is a very distracting nervous habit that must be stopped. Someone should have told her; they did her no favors by "ignoring" that habit! 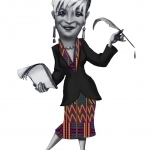 She also has a nervous habit of speaking too much, and of trying too hard to sound authoritative (in the chance that someone would ever dare to challenge her expertise). Someone needs to tell her that it is very easy to get over being nervous on camera; practice! And, please, practice speaking without those annoying tongue clicks! I recently moved from MT to FL. I requested our MT PBS to carry it via email on a few occasions over the years. Their response was that they had not heard of the show but would look into it. MT PBS carries ONLY 2 sewing shows, most of them reruns (which is OK with me) and only airing in one time slot on just one day of the week. Imagine my delight when I searched the TV guide in FL and discovered this and so many other sewing shows. I just 3 days in FL I recorded/watched MORE SEWING shows then I did for 3 YEARS in MT. I am still bewildered by the array of programming regarding sewing. The northwest states just don't have the population to fund carrying these shows. Please, please find a way to get these shows online or in an APP so that sewers in the low populated areas of the US can access the information by watching shows such as Its So Easy.